See what’s new on WGT! Resume Game – Fixed an issue where some players were shown an incorrect “Resume” screen after all players had left the game. 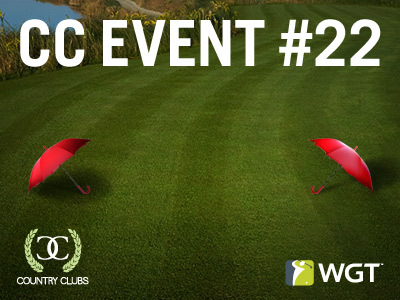 Don't get caught in April showers, play CC Event #22 going on NOW through 4/22. New umbrella tee markers and flags are keeping the rain away (and could be yours!) 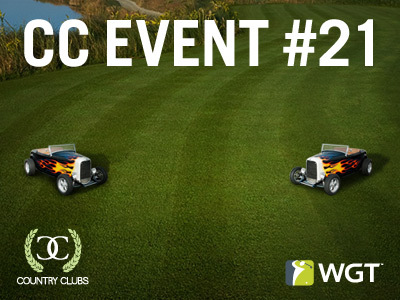 in this week's Event, so get your country club together and compete against other clubs for in-game rewards and club status. 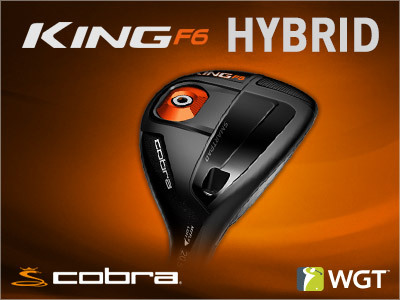 Get more distance and forgiveness with the latest King F6 virtual hybrid from Cobra! You've seen the Cobra King F6+ Driver and King F6 3 Wood, now complete the collection with the new King F6 Hybrid club, to add even more distance and style to your bag. It's finally the weekend! Kick it off with this special offer to get 3 free MAX balls when you buy 2,000 or more WGT Credits in the game. 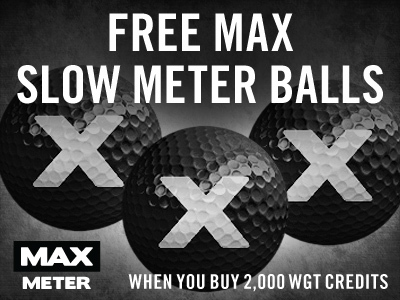 *Special offer for players who buy 2,000 or more WGT Credits today through tomorrow (4/15/16-4/16/16), receive 3 free MAX Slow Meter virtual golf balls (Hack+). 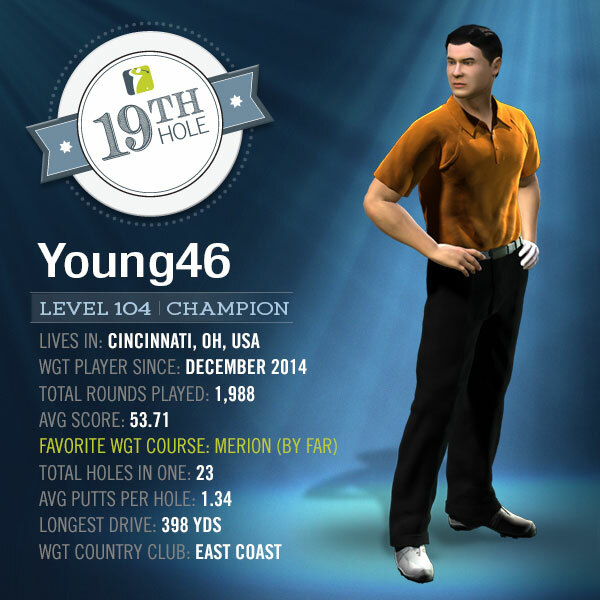 This week's WGT 19th Hole player was selected because of his well-known WGT video tutorials and streams via YouTube and Twitch. He says he "enjoy[s] chatting with new and existing people who are tuning into my stream and on occasion being able to provide a tip or two that may help them on their WGT journey." Watch all of Young46's videos here. Young46 started playing WGT after it was suggested to him on Facebook and he "instantly became addicted from that moment forward." He joined the East Coast Country Club shortly after starting and says he "was lucky enough to find a group of awesome people that were willing to put in the time to help me get better. If it weren’t for people like Dstylie, Jaggy2005, pgatour4me & Lizard69 I probably would have quit shortly after making Legend and going through the woes of adjusting to life from the back tees!" When it came to choosing his WGT player name, Young46 says it was simple: last name + old baseball number. And while we know him as Young46, his friends and family know him as Jason. When he isn't sharing his WGT replays or tutorials online, you can probably find him coaching his twin sons and their select travel baseball team: "Opening day in our household is more exciting than Christmas." Driver: TaylorMade Black R1 Driver - "Great driver!" 3 Wood: Callaway Big Bertha 3 Wood (L97+) OR Big Bertha 3 Wood (L89+) - "I switch back and forth...depending on the course I am playing." Irons: NIKE Vapor Iron Set (L100+) - "Amazing set of irons (except the 8 iron...for some reason we don’t get along." Wedges: Cleveland 588 Wedges - "The amount of backspin they generate is vicious but if you play them with neutral spin they are deadly consistent." Putter: NIKE Method 001 Putter M1 (L101+) - "I have always used an Odyssey but when they came out with the same increments in Nike I decided to put it in the bag and I don’t think it will be leaving anytime soon." Do you have any WGT stats you're particularly proud of? "I am proud of my putting stats and of course the Hole-In-Ones. Putting is the only stat I actively check because I put a lot of time in practice mode honing my putting skills. My one putt % is nowhere near where I want it to be but it's on a steady climb. My goal is to be above 70% by year's end. We believe in you! What tips would you give to new players? 1) Spend as much time in practice mode working on your putting as you do playing regular games. Equip an unlimited ball or a free ball and go try new things and find out what method works for you! 2) Chart your shots. You will be amazed at what you can learn by simply opening an excel sheet and taking notes on each shot. 3) Learn to play every shot. I see too many players who only rely on one type of shot only around the greens (usually a flop). I'm personally a huge fan of pitches and punches but can play them all equally well. 4) Don't be scared to reach out to the better players and pick their brains. I've asked for advice from most of the top players in this game and I have never had anyone be anything but helpful and courteous to me." While you're following all the action at Augusta, log on to WGT and try out the newest, popular clubs you've had your eye on, all free. 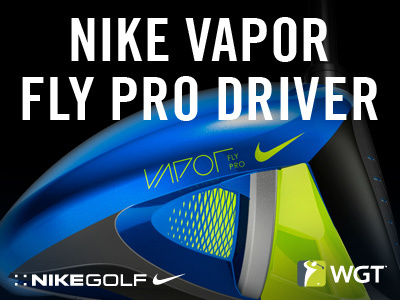 Try the new TaylorMade M1 driver, Cobra King clubs and other great picks from Callaway, Nike and more! To rent clubs, just find the club you want in the Pro Shop, click the RENT or TRY ME button and it's yours free for 24 hours. 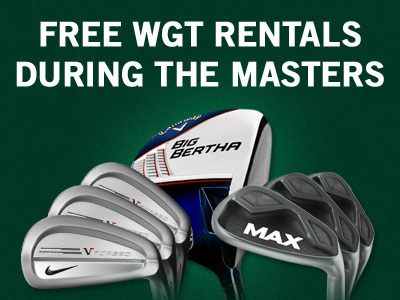 You can rent as many clubs as you want for free, Sat-Sun 4/9/16-4/10/16. 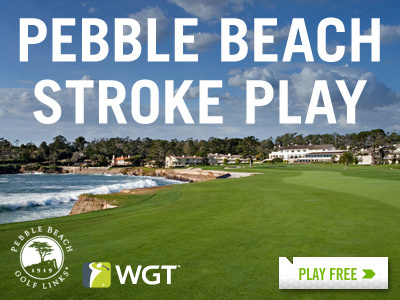 Pebble Beach is now available in full stroke play! Now you can experience all 18 holes of this world famous golf course free on WGT, filled with the challenges and gorgeous ocean views it's known for. Play today and tomorrow against other country clubs, competing for top leaderboard spots and in-game rewards including these flashy hot rod tee markers and flags. The first tournament in the Virtual Tour Apr-Jun Quarterly Season starts now! Post your first round score by 4/25. 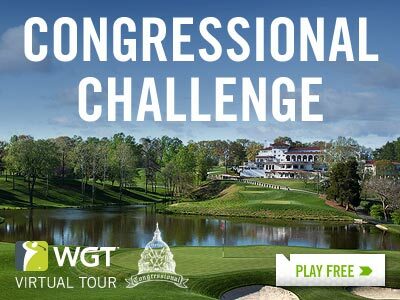 The 2016 WGT Virtual Tour continues in April with the Congressional Challenge. Play as many times as you want on (you guessed it) Congressional in the unlimited play first round, then compete in the single-play second round (4/26-4/30) for your share of the 100,000 WGT Credits. Each month is another chance to earn WGT Credits and move up the Virtual Tour leaderboard, so be sure to start the Apr-Jun Quarterly Season strong by posting a score this month! Plus, keep an eye out for new crown icons and even new WGT avatars, awarded to winners of monthly Virtual Tour tournaments and each Quarterly Season. The Jan-Mar Quarterly Season avatar is looking sharp in a Hawaiian print shirt – have you seen any in the wild yet? The top 70 scores in each Pro-Champion tier will split a total purse of 100,000 WGT Credits, and all credits earned in each Quarterly Season are accumulated to determine your overall standing. Compete in the Back 9 Challenge on Oakmont as part of the Virtual U.S. Open, now with new hole locations. Oakmont Country Club is the host of the 2016 U.S. Open, and you can get a sneak peek at the course in the Virtual U.S. Open on WGT, continuing this month with the Back 9 Challenge closest-to-the-hole tournament. Post your best score in this unlimited play tournament going on now for your chance to win a $500 USGAshop.com gift card. See rules for details and eligibility.